Goalkeepers need to stay protected and comfortable when they slide, lunge, jump and dive to make key saves in a soccer game. When you are a goalkeeper your goalie pants can make or break your game depending on the range of mobility and level of padding they provide. soccerloco's wide variety of soccer goalkeeper pants for any playing style will keep you warmed up and ready to block every shot on goal. With the right soccer goalie pants you will come up with the ball in your hands, not scrapes and bruises on your legs. soccerloco is your one stop shop for soccer goalie gear including goalkeeper gloves, jerseys, shin guards and more. Shop for your goalie pants at soccerloco today to save on flat-rate shipping and easy returns! 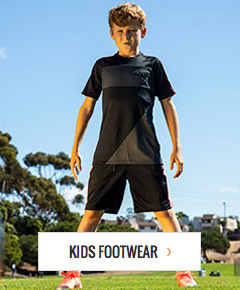 soccerloco offers soccer goalie pants from top brands and of the best quality. If you will be playing on hard ground or artificial turf, try Reusch's Kevlar Goalkeeper Pants. They feature reinforced padding in the knees and removable padding on the hips for added protection when you need it most. On the other hand, with lightweight fabric that wicks away sweat and light padding, adidas' Basic Keeper Pants are the perfect goalie pants for the minimalist player. soccerloco features the best selection with the lowest prices, shop soccerloco today for your goalie pant needs. Shop soccerloco and Save Today! When you are looking for your game-time goalkeeper pants, look no further than soccerloco. Our huge selection of soccer goalie pants and fast and easy returns will help you find the perfect pair to make you look and play like the pros. Rain or shine, grass or turf, soccerloco will help you prepare to win any game. You can save on goalie pants with our unbeatable prices and flat-rate shipping to anywhere in the continental United States. Step up your game and shop soccerloco today!